A thin smart patch called Marine Skin could make studying the behavior of marine animals easier and more informative. This system for electronic tagging of animals is based on stretchable silicone elastomers that can withstand twisting, shearing and stretching, even when exposed to high pressures in deep waters. 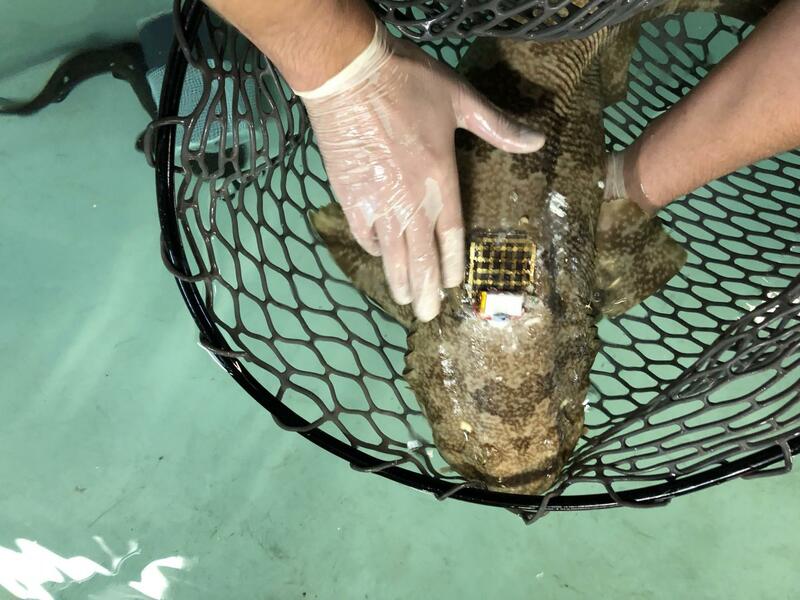 "The integrated flexible electronics can track an animal's movement and diving behavior and the health of the surrounding marine environment in real time," says Joanna Nassar. Now at California Institute of Technology, Nassar was a Ph.D. student in the KAUST team that developed the patch. "Using simple design tricks and soft materials, we were able to beat the current standard systems in terms of noninvasiveness, weight, operational lifetime and speed of operation," says Nassar. In the current prototype, the location data is supplemented by recordings of water temperature and salinity. Additional sensing capabilities could be added in future. Possibilities include sensing the physiological state of the tagged animals. This would allow information about ocean chemistry to be correlated with the heath and activity of even small animals as they move around in their habitat. Marine Skin is one of many innovations developed by Professor Muhammad Mustafa Hussain's group in collaboration with Professor Carlos Duarte's group at KAUST. "We are consistently advancing the field of flexible and stretchable electronics by making electronic systems in which every component is physically flexible," says Hussain. His team partnered with Duarte's group of marine scientists for their specialization in large-scale marine megafauna mobility studies. Marine Skin has been tested and demonstrated when glued onto a swimming crab, Portunus pelagicus, but is suitable for tagging a wide range of sea creatures. The team plan to move on to studies with dolphins and whale sharks. Their long-term aim is to achieve reliable performance when Marine Skin is attached for up to a year on individual animals of diverse types. Nassar believes that the existing system and the planned upgrades will allow significantly more comprehensive analysis of the marine ecosystem, including studies of animals in locations where they could not previously be monitored. She points out that investigating behavioral changes of marine species in relation to the quality and health of the ocean will help scientists assess habitability in the context of increasing global temperatures, problems of pollution and the effects of overfishing.